1. All the tile and stone is from Chef Chavez’s hometown, Durango, Mexico. Inside, the cozy spot off 12th seats 60 and is warmly lit, making it feel more like your cool Abuelita's living room than some stuffy big city spot. ... according to his family members, that is. It’s his mother’s recipe, and with it she won a cooking contest. 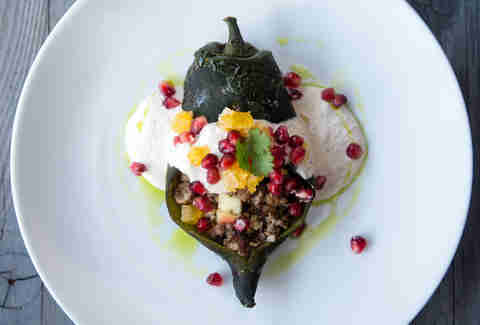 As flavorful as it is colorful, the Chile en Nogada, which is a stuffed poblano chili w/ carne & nogal walnuts, is modeled stylistically after the green, white, and red Mexican flag. 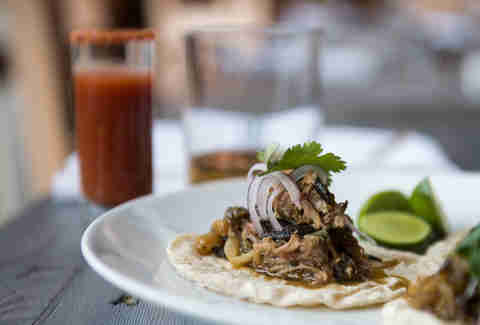 ... including their Barbacoa taco, which has braised pork shoulder and roasted poblano. 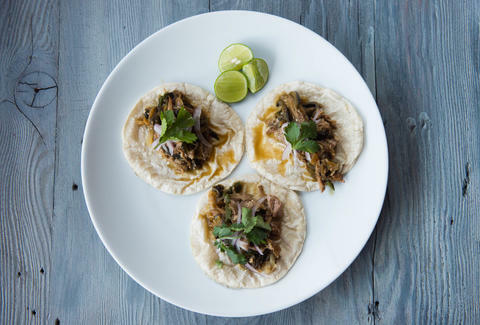 Other options include Nopales (cactus and huevos), Rajas Pablano (queso Oaxaca), and Stafado de Langua (tomato, cinnamon, peanut). Eschewing the humdrum appetizer, Chavez serves Queso Fundido Totopos Azules with a blue corn tortilla that ISN’T fried, so you can actually taste the corn. 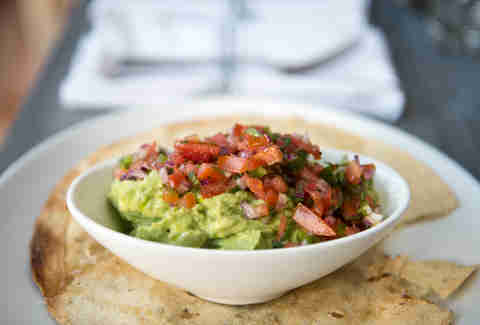 Incidentally, everything on the menu is gluten free, but chef Chavez didn't do it on purpose so it's okay. 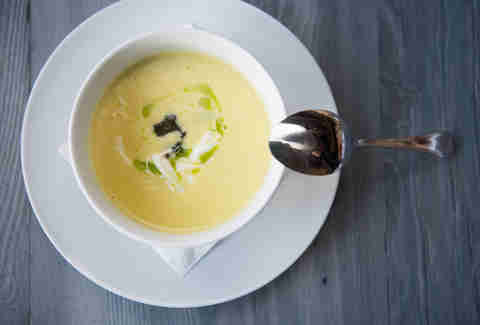 She also worked with him at Boat Street Cafe back in the day, and all the dishes at Chavez are small plates (like this roasted poblano corn soup made with a truffle that actually grows on corn) that are based on the recipes she cooked when he was growing up. 6. 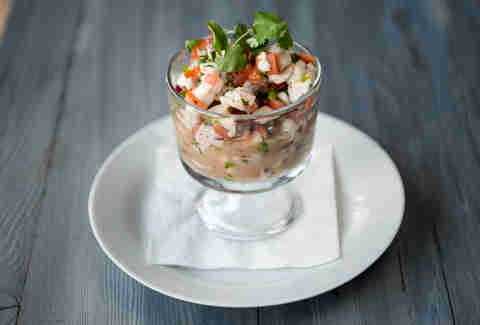 You haven’t had ceviche…. … until you’ve had this version made with Pacific red snapper that is surprisingly rich. … that isn’t actually a Bloody Mary. 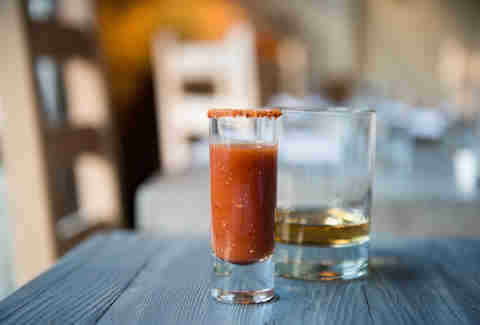 Sangrita, a tomato-based chaser sipped alongside tequila, is a little like a deconstructed Bloody Mary. Minus the vodka, obviously. 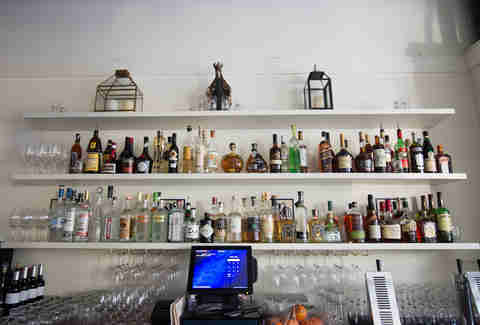 A late-night industry happy hour is in the works for spring, and so is brunch. 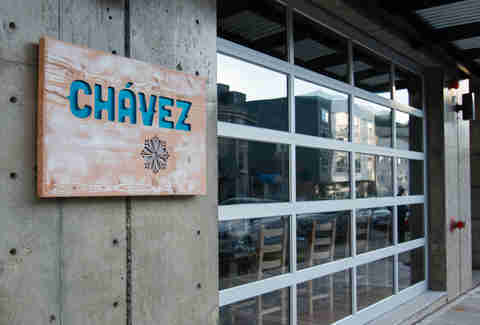 And while on the topic of warmer weather, the Chavez space sports a roll-up garage door, which means outdoor seating the moment Mother Nature permits. 9. They've got a secret menu. Sort of. 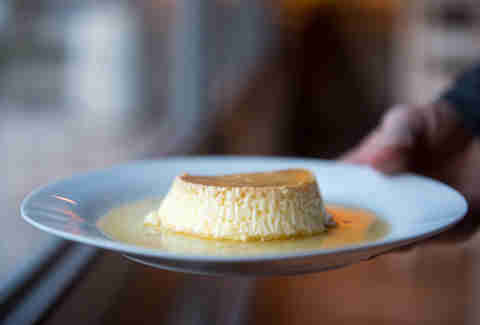 Chavez’s lemon flan and churro aren’t on the menu, but if you’re reading this, you can still order it. You’re welcome!